If you’d have asked me six months ago whether I’d like to see a Makeup Doctor, I’d have replied with a bemused, yet polite “no thank you”. I was happy with my makeup routine. Other than wanting to be a little more adventurous with my eye makeup, there was nothing more I wanted to know. That was until I met Makeup Doctor, Rita Palmer. Rita is a makeup coach who I met through my work at Aspire Magazine. 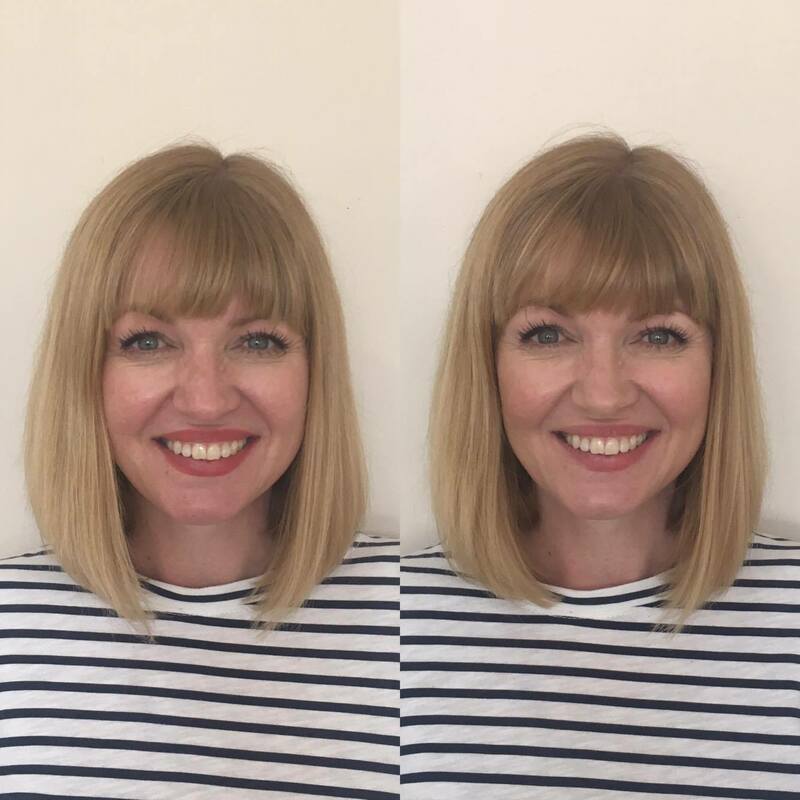 I had the pleasure of editing a guest column she’d written and I was impressed with her refreshingly honest, no nonsense approach to makeup and the cosmetics industry. Rita offers coaching and advice and invited me to go for a course of two sessions. The first was about face makeup, the second about eyes and lips. In this post, I’m going to talk about what I learned in the first session. 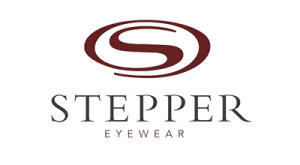 The post about eyes and lips will follow next month sometime. For the first session, Rita asked me to wear my usual everyday makeup and to take my products along. My daily face makeup routine is very simple: moisturiser, foundation, powder, blush. I apply moisturiser and foundation with my fingers, compact powder with a large brush and blush with a smaller brush. I don’t have a habitual daily moisturiser because I get sent a lot to try and I use them in turn. Many moisturisers formulated for the over 40 woman are waxy or oily to counteract the dryness associated with ageing skin. This can make it difficult for makeup to stay put, so Makeup Doctor advised using an oil-free formulation and reserving the others for night time. She recommended the Benefit Triple Performing Facial Emulsion. This has the added benefits of SPF 15 and a lot of shelf appeal. It has a pump action dispenser which reduces the chances of getting too much out, which surely most make it more hygienic too. I expected an oil-free formulation would make my skin feel dry and tight, especially because my skin errs on the side of dryness. I couldn’t have been more wrong. 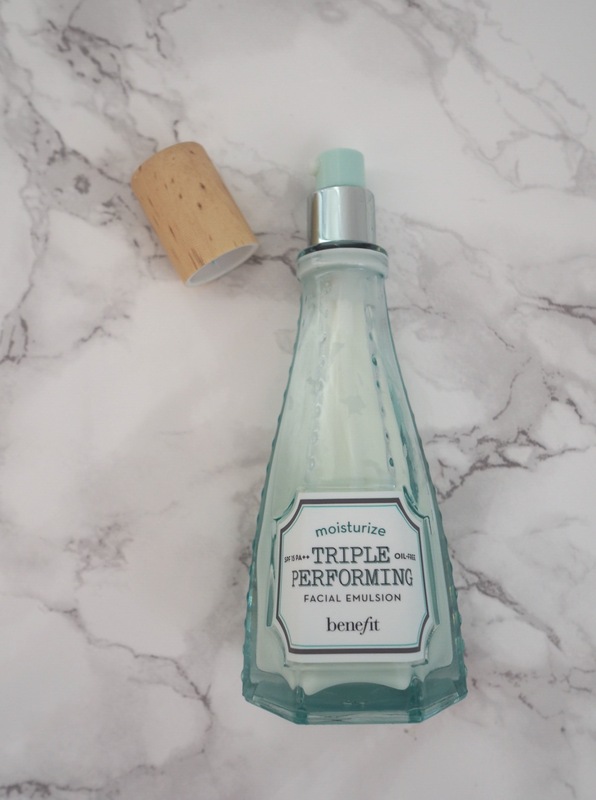 As soon as Rita applied it, my skin felt comfortable and just as moisturised as it would be with a more oily formulation. 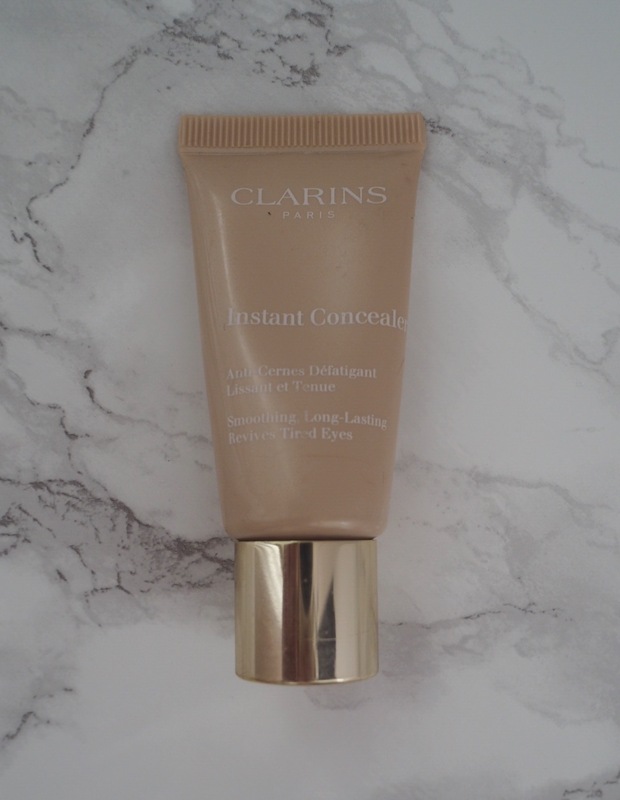 I bought it straight after our session in mid-July and have used it daily since then and can confirm it has made a noticeable difference to the longevity of my makeup and there is noticeably less shine later in the day. Now I know we’re meant to use primer and I’d tried several in the past, but I found that they made my skin feel tight and uncomfortable. To me, it felt like it was just another over-hyped product for the sake of it. I was very dubious when Rita suggested using one and almost reluctant to try. Well, what a revelation! 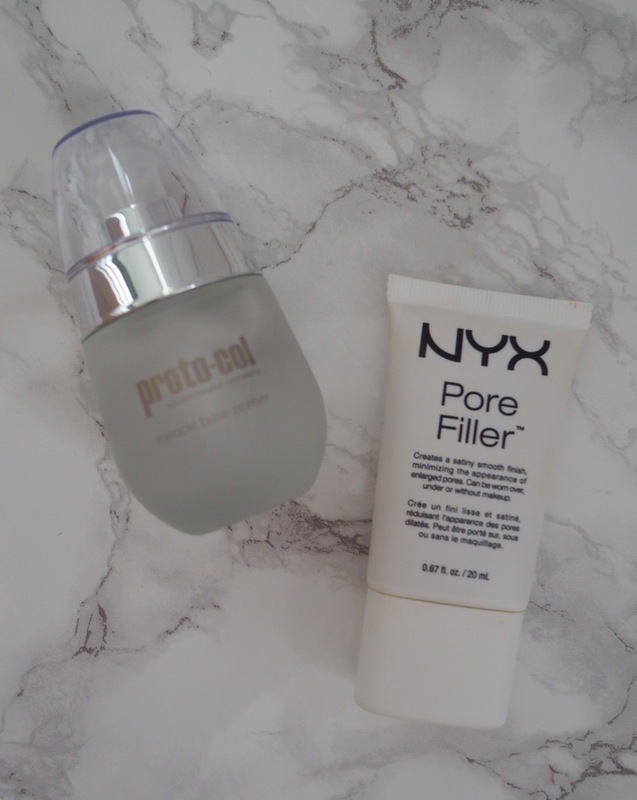 Rita used the Nyx Pore Filler and I liked it so much, I bought one for myself immediately after the session (£11 from Boots). Use a pea-sized amount. Start down the nose and work out towards the cheeks, jaw, lip, chin and forehead. A primer acts like a base coat and provides a smoother base on which to then put the concealer and foundation. It gives a beautiful subtle blur too. I can’t tell you what a difference this has made. I’m a convert. I was sent the Miracle base Primer from Proto-col recently which I have tried as well. It’s different to the NYX, more like a thick gel than the Nyx one which is drier. It’s currently on special offer for £10, usually £14. Both are excellent. Although I had a concealer, I rarely used it because it didn’t seem to make much difference. Not only that, it settled into the lines around my eyes. The Makeup Doctor advises choosing a concealer one shade lighter than the foundation, (which ideally, should match the skin exactly). Mine is the Clarins instant concealer. She said that it’s a little too dark (it’s almost identical in colour to my foundation), but it’s good enough to use. What I love about Rita is her honesty. She doesn’t suggest replacing anything that isn’t ideal. Instead, she advises what to get once the existing product has been used up. She used Mac Pro Longwear Concealer in shade NW15 on me which disguised my under-eye shadows and which I’ll buy next time. To apply concealer, place three small dots under the bottom lashline with a concealer brush or with the middle finger. Pat gently out towards the temple and then use the reminder on any red areas. Again, she was honest and said that it is inevitable that concealer will settle into lines and wrinkles. When it does, just pat it gently. I have always applied my foundation with my fingers because it seemed to be the quickest method. Not only that, it allowed me to control how much I applied. Makeup Doctor Rita showed me how to apply the base with a stipple brush and again, I honestly can’t believe what a difference it makes. It’s quicker than using my fingers and gives a much more even finish. 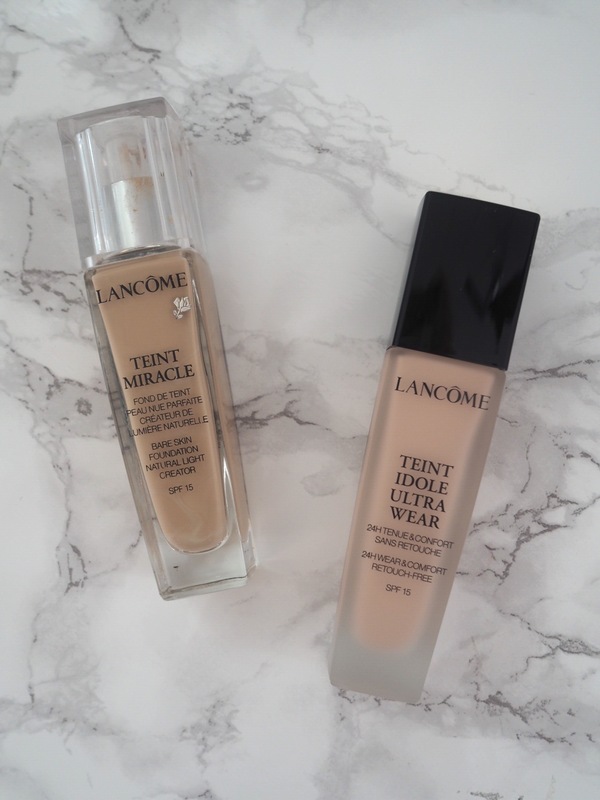 The foundation I currently use is the Lancome Teint Miracle in shade 010, the correct shade for my very fair skin. 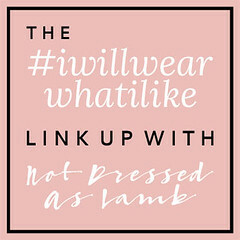 I have just been sent the Lancome Teint Idole Ultra Wear to try so I shall report back on that if I prefer it. It provides greater coverage and is longer-wearing than my current one, so we shall see. Both have SPF 15, something I always look for. I’ve used Lancome foundation for as long as I can remember. Yes, really. There is no need for powder if you follow rules number one and number two. Since using the oil-free moisturiser and a primer, I haven’t needed to use powder to “set” my makeup. 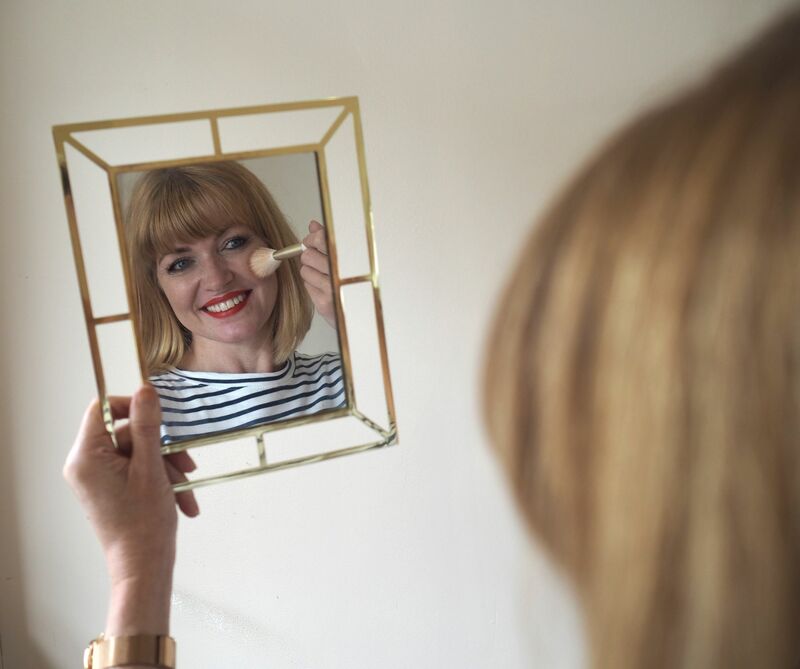 I’m no stranger to contouring because Poppy, my sixteen year old is a whizz at it on herself. I’d never tried it on myself though and I couldn’t wait to find out how to do it because it seems to make such a big difference. 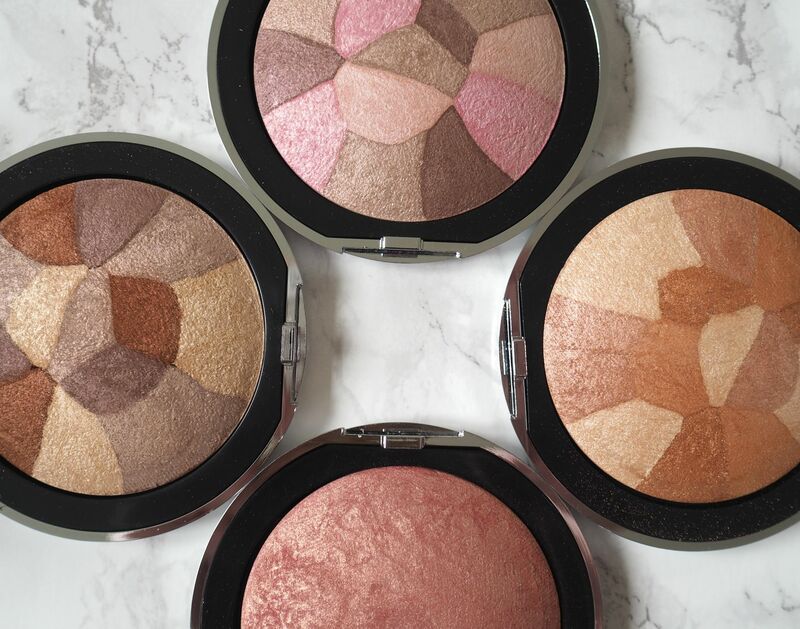 To contour, use a bronzer and apply with a fantail brush. Make three “tickly” strokes from the tragus bone of the ear, half way towards the corner of the mouth. Blend into the hairline and jaw. The Boomerang video below shows how. I use Master Sculpt by Maybelline in light medium. It has a highlighter with it too, which we’ll look at in step 8. This is another instance where using a brush, or on this case, the correct brush has made an enormous difference. I used to use quite a full, fluffy brush to apply blush to the apples of my cheeks while I smiled. The Makeup Doctor showed me how to use an angled brush for a more accurate application. To apply correctly, smile and place the pointed part of the brush on to the low apple of the cheek, then sweep up into the hollow. This alone had the effect of lifting my entire face and making me look younger. Hurray! Proto-col sent a selection of mineral shimmers for me to try and they’re all gorgeous. So pretty. 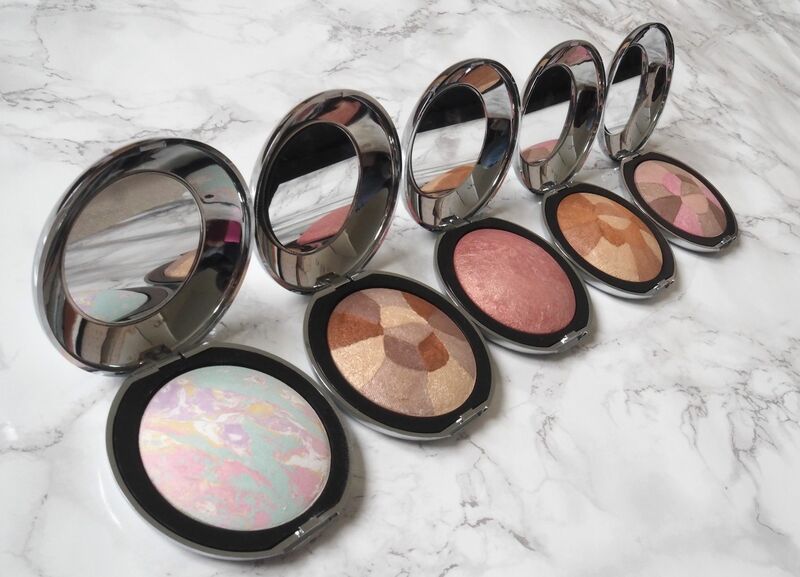 I’m currently using the single-coloured one which is Baked Mineral Shimmer in Apricot Swirl. It blends beautifully and gives a natural but noticeable flush of colour. The final touch is to highlight. 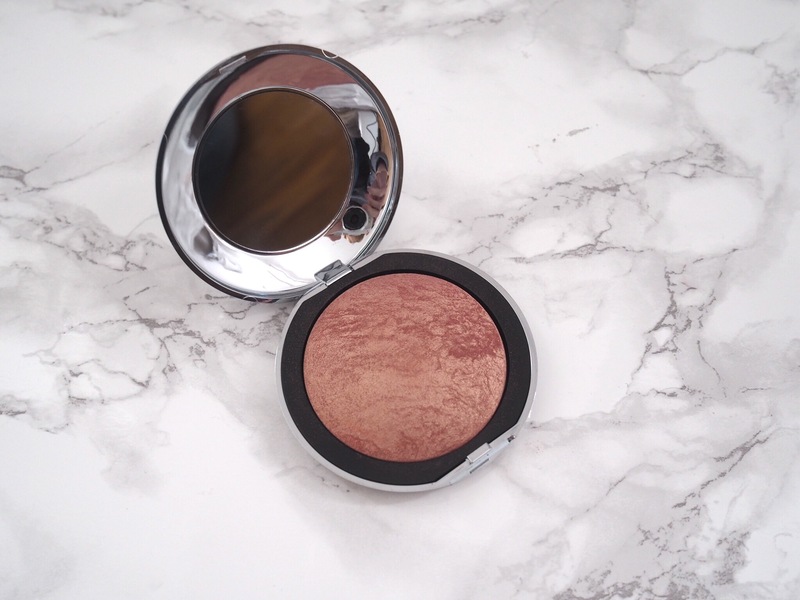 Ideally, the colour of the highlighter should tone in with the natural skintone. In my case, Rita advised me to use a warm champagne shade rather than a cool cream or white and recommended Mac Mineralize Skin Finish in Soft and Gentle for when the one above has run out. Use a highlighting brush and start on top of the cheekbone, beneath the outer corner of the eye. Sweep upwards and outwards along the cheekbone into the temple. Next, go from the browbone and sweep down to the same point of the temple. It’s like making a v shape, the point of which is at the temple and which goes up towards the brow and down towards the top of the cheek. 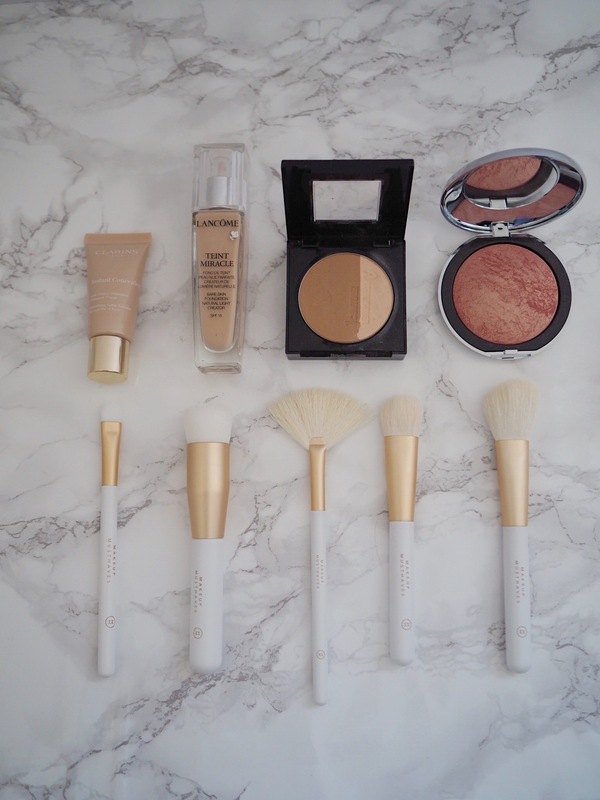 Below are the makeup products I’ve mentioned alongside the appropriate brushes. Rita has drawn upon her years of experience as a makeup coach and her work alongside makeup artists and has designed a set of brushes. 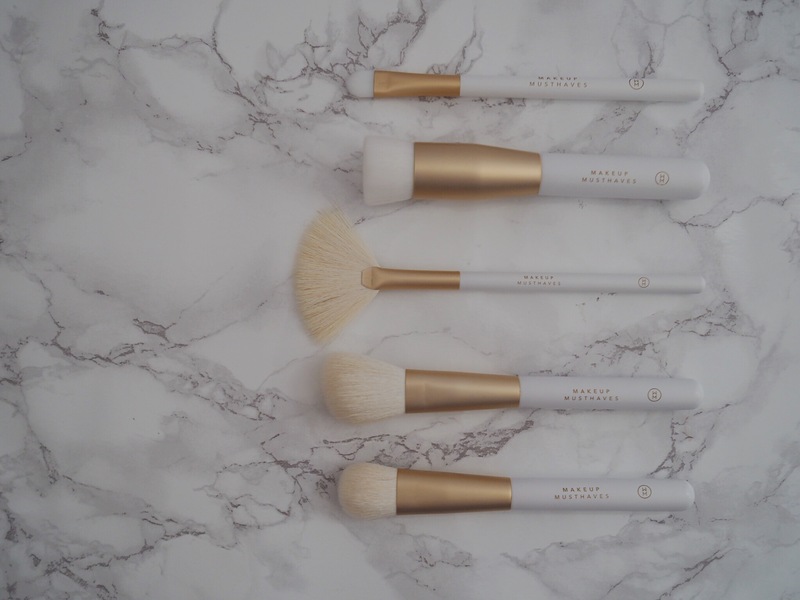 She is currently building a brand new website which will sell Makeup Must Haves including these brushes, so although they aren’t yet available online, they are available directly from Rita. (Please email her at mail@makeupdr.co.uk and say I sent you. The set costs £65, a very special rate). I was so impressed with them at my session, that I bought a set for myself. This isn’t a sponsored post, although my sessions with the Makeup Doctor were complimentary, I just really believe in the brushes and can vouch for their quality and for the difference they have made to my own makeup routine. The set includes brushes for eyes, lips and brows too so I’ll cover those in the second part of this series. from top to bottom: concealer, foundation, contour, blush, highlight. As I said at the beginning, I was asked to go to my appointment with the Makeup Doctor wearing my usual makeup. This is the photograph on the left. On the right is the result after doing my face makeup under Rita’s supervision and guidance. You can see that my face looks narrower. My cheeks look higher and tauter. In general, I look fresher and less tired and a more enhanced version of myself. Visit Makeup Doctor online for details of Rita’s coaching packages and services. And stay tuned for the second installment featuring brows, eyes and lips. Although needless to say you look beautiful even without makeup, there is definitely an amazing difference on the right photo, Liz. I love how natural your makeup is yet it makes your look fresher. Fabulous! 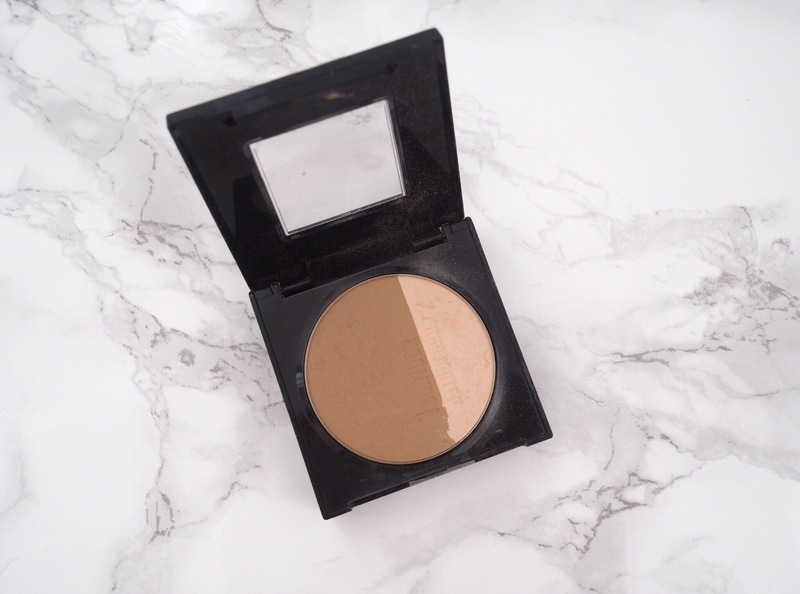 I just started experimenting with bronzer and highlighting! Great tips, Thank you!